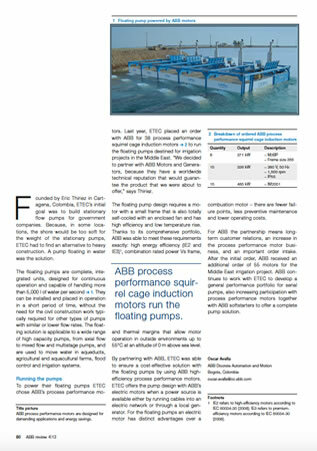 ABB Reviews: Induction Motors Run the Floating Pumps. 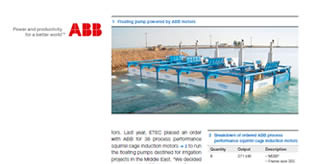 ABB Reviews: ABB Process Performance Squirrel Cage Induction Motors Run the Floating Pumps. 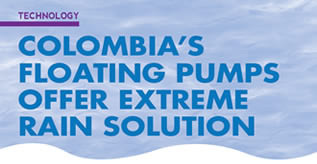 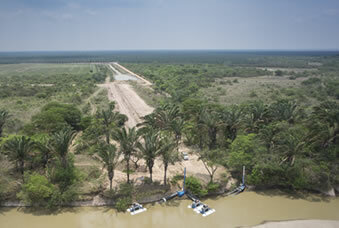 Founded by Eric Thiriez in Cartagena, Colombia, ETEC's initial goal was to build stationary flow pumps for government companies. 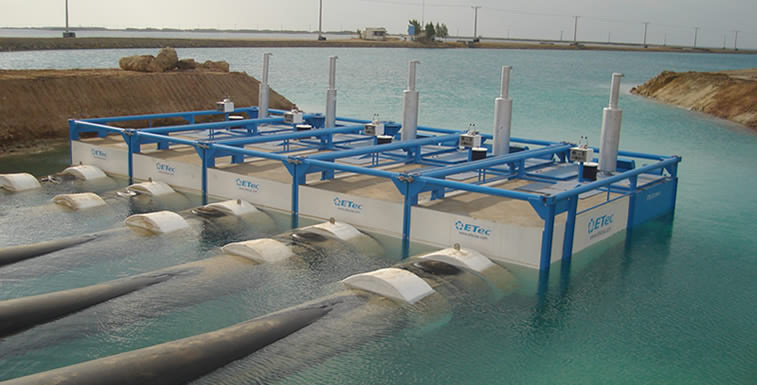 Because, in some locations, the shore would be too soft for the weight of the stationary pumps, ETEC had to find an alternative to heavy construction. 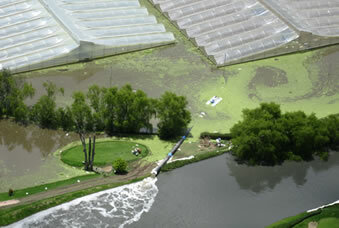 A pump floating in water was the solution. 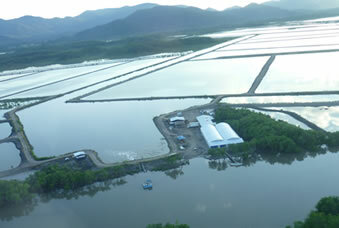 The floating pumps are complete, integrated units, designed for continuous operation and capable of handling more than 5,000 l of water per second. 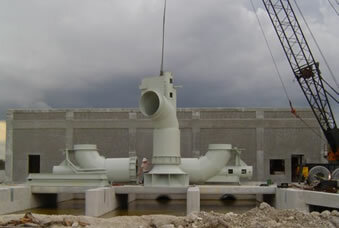 They can be installed and placed in operation in a short period of time, without the need for the civil construction work typically required for other types of pumps with similar or lower flow rates. 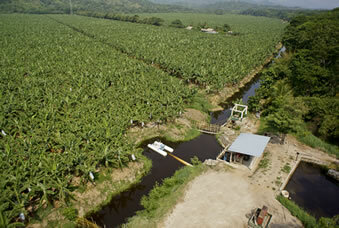 The floating solution is applicable to a wide range of high capacity pumps, from axial flow to mixed flow and multistage pumps, and are used to move water in aqueducts, agricultural and aquacultural farms, flood control and irrigation systems.